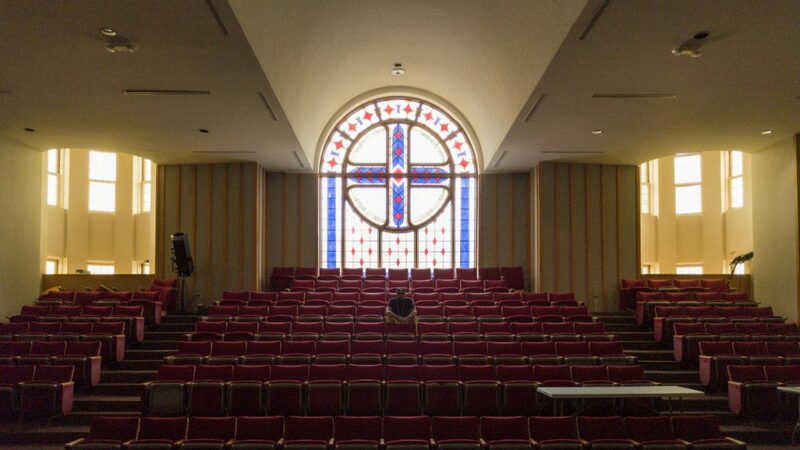 Hip-hop is more than the cliché of “money, hoes, and clothes.” Students at Virginia Union University are peeling back the layers of the 45-year-old art form, and discovering that faith and religion are an important part of the music. The collegiate focus is only the latest transformation in how American culture views hip-hop. From block parties in New York City to worldwide phenomenon, to the halls of academia, hip-hop has come a long way. Although Howard University offered the first hip-hop class in 1991, it’s gone from a niche topic to something taught even at Ivy League schools like Harvard University, where Nas and 9th Wonder hold fellowships. In our region, classes range from 9th Wonder’s hip-hop class at North Carolina Central University to a course co-taught by RVA’s Mad Skillz at the University of Richmond. 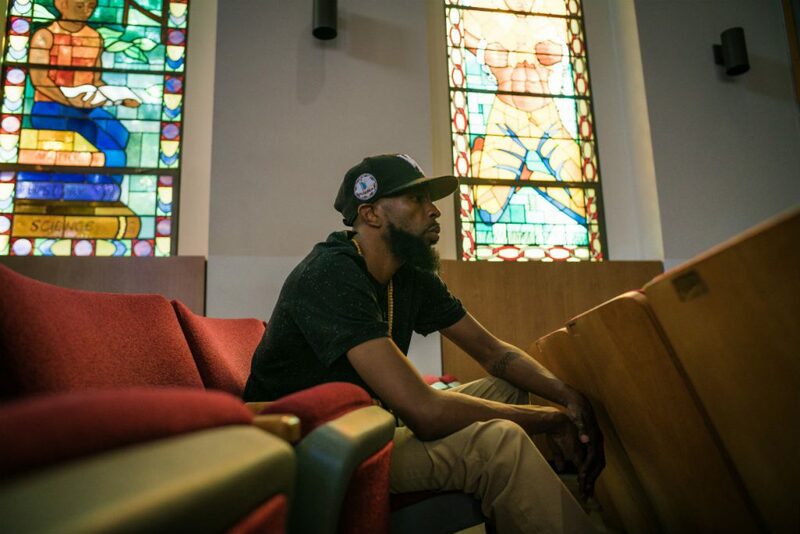 While 9th Wonder and Mad Skillz focus on the music — Skillz even brought in Public Enemy producer Hank Shocklee this spring — Virginia Union University is all about the faith. Rapper Ricky Parker had the idea in 2016 while doing research on hip hop courses from North Carolina to New York City. “I was just really trying to figure out, what am I going to do at Union? You know, what is Union’s story?” he said. Ultimately, it was the theology department and religious foundation of Union, a Baptist-affiliated school, that he thought a hip-hop course could highlight. Union is one of many Historically Black Colleges and Universities, schools founded with Christian affiliations where legendary rappers like DJ Red Alert and Das EFX, along with present-day stars like DJ Envy or Wale, earned their degrees. Parker worked with Dr. Carleitta Paige-Anderson, Director of the Center for Undergraduate Research, to develop curriculum for students learning about the intersections of faith and hip hop. “It’s like almost two cultures, that exist at this school. You have an undergraduate HBCU culture,” Parker said, describing this first group as being overwhelmingly into hip hop and contemporary rap. About the second group, he said, “Then you have the faith component… the mix of people that are looking to start churches, missionaries, that come here to get an education, too.” The class serves as a way to integrate the two interests across the campus, bringing secular students and ordination-track theology students together. One of the marquee events for the independent hip hop studies program took place last spring when Gene Thornton, the rapper known as No Malice of the legendary hip hop duo The Clipse, came to campus as a guest lecturer. On the phone, Thornton told me that came about through Parker. “He put it together and, I’m trying to think of how that actually fell in my lap, but I knew it was home, and it was about faith and hip hop in Virginia Union,” he said. You must be born again. Who gave you your talent, gave you hip hop? Talking about faith in hip hop brings up childhood memories for most of us, too. Parker and Radio B both said that rap and hip hop came into conflict with their family faiths. My response to that was, you know, Jesus never wore a suit.